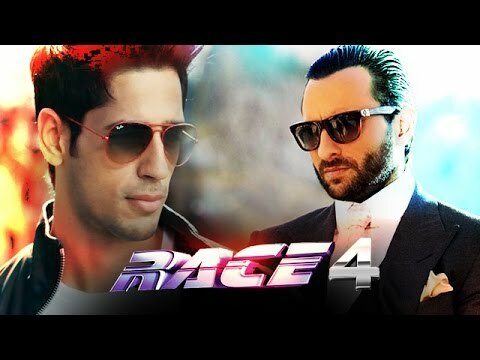 Saif Ali Khan may appear in the film ‘Race 4’ According to media reports, after failure of Salman Khan’s film ‘Race 3’, now another actor Saif Ali khan’s name is being considered for next squeal ‘Race 4’..Producer Ramesh Taurani is trying to bring Saif Ali Khan back again to the said squeal. This actor has already shown his talented performance in the film ‘Race’ and ‘Race 2’. These both were very successful films and made a good business. Saif Ali Khan is a very telanted and successful person and has won several awards. He was born on 19 August 1970. He is the son of actress Sharmila Tagore and a cricketer Mansoor Ali Kan.
Khan made his acting debut in ‘Parampara’ which was a successful drama of Yash Chopra and was presented in 1993. in the next year, 1994, he performed in drama ‘Yeh Dillagi’ and the film ‘Main Khilari Tu Anari’. 2004 was a very good year for this actor. He played role in ‘Hum Tum’ which proved too successful and Khan’s performance was so appreciated that he was given National Film Award. This is the most prestigious award of the Indian film industry and is given by the President of India. Selection for the award is made by a penal of experts of the showbiz field. This is not only an honor but also indicates to other players in the field that the person winning this award is a talented one and does his job with care and responsibility. Hence the film producers, directors and others keep in mind his name for any future task. The actor has also won Filmfare award six times. This award too, is a prestigious one and is given by largest media group of India.Selection for this award is made on two kinds of votes, votes from the public and votes from the experts of the field.2008 was a very good best year of Saif Ali Khan’s career.In this year he performed in his most commercially successful film ‘Race’ and then he performed in Race 2 which was released in 2013. Khan is a married person. His first wife’s name was Amrita Singh.Later he married to Kareena Kapoor. He has three kids. Khan, besides being a film actor is also a television presenter.He also performs on stage and also running a production house. Aamir commets on film ‘Thugs of Hindostan’.